If your smile is, to put it mildly, “unattractive,” you may think only extensive and expensive dental work can change it. But depending on your teeth’s actual condition, you might be able to obtain a new smile with a less-invasive option: porcelain veneers. As their name implies, veneers are thin layers of dental porcelain bonded to the front of teeth to cover imperfections. They’re custom designed and manufactured by a dental technician to match the natural color, shape and size of the teeth they’re covering and to blend with neighboring teeth. Veneers are quite effective for heavily stained, chipped or moderately misaligned teeth that are otherwise healthy. They can even be used to address slight gaps between teeth and restore worn teeth to make them appear larger and more youthful. Overall, they’re less invasive than other dental restorations. That said, though, most veneers will still require some alteration of the affected teeth. This is because although quite thin they can still appear bulky after they’re bonded to the teeth. We can minimize this by removing a small amount of a tooth’s outer enamel. While this alteration is modest compared to other restorations, it’s nonetheless permanent– your teeth will require some form of restoration from then on. Veneers also require special consideration while biting. You’ll need to exercise care and avoid biting hard items like candies (or using your teeth as tools) or the veneer could break. Similarly if you have a teeth grinding habit, you may want to consider having a custom guard created that you wear at night to prevent solid contact between your teeth. The excessive force generated while grinding or clenching teeth could also shatter veneers. 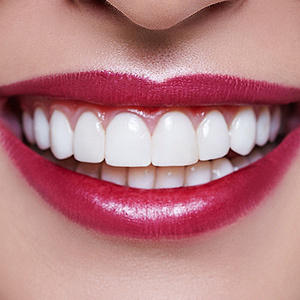 Veneers may not be the answer in all cosmetic dental situations, such as extensive disfigurements or bite problems. To know for sure if your particular dental condition could benefit, see your dentist for a complete dental examination and discuss whether obtaining veneers is a viable option for you. If so, you may be able to gain a much more attractive smile from this less invasive but no less effective option.